If you are considering single parent adoption, then, I found that one of the first things to do after making the decision, is to find a group of people who have already adopted a child or are in the process of adopting a child; preferably single parents to be. 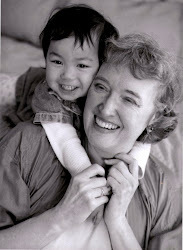 When I first decided to adopt my daughter from China I joined a single parent group, specifically for women in the Bay Area who had adopted or were in the process of adopting their daughters from China. I found this group through the organization called "Families of Children from China." "Resolve" is another good resource for possibly finding an adoption group to join. Intitially, it was through the FCC group that I found different referrals for adoption agencies and eventually chose the adoption agency that I wanted to use to help me through the process of adopting my daughter. The group provided encouragement for me when I was in that arduous waiting period for the adoption to be finalized and gave me hope when we celebrated together the arrival of each child when they came home to the U.S.
Later on, we provided childcare support for eachother, and we became very familiar with eachother's adoption story. Now the children are nearly teenagers, some go to the same school or are doing the same after school sport. Some of the parents are married, some are still single. We are even 'older' than the 'older parents to be' that we were! And I am thankful we have eachother. I believe that it is in part, because of this connection to these other families, that my daughter does not feel in any way weird or extraordinary being a daughter adopted from China and living with a single parent in California! Come join us! An Adoption support group for parents of children of all ages. Beginning Thursday January 12th, 6-7.30pm for 10 weeks. Mill Valley, CA. Call 415 381 5889 for more information. The power of being witnessed is a profound gift in a relationship. Recognition, Acknowledgement and Encouragement is like gold,( or a good fertilizer for growth! ), compared to a lecture; advice or sympathy 'for what you must have gone through'. As an adult just take a moment and think about those most transformative times in your life where you have shared yourself - your depths -with another person or people who know you well, without judgement, just presence. It is often a still, silent experience for the listener, or a few reassuring sounds of acknowledgement, while you share your soul. What does that feel like to you? What does it feel like to be considered precious and contributing something important to the relationship and the world? So, lets talk about a relationship between a parent and a child and in particular a foster/adopt child. A parent/child relationship that provides security and safety no matter what occurs with the energetic push/pull of attachment. There is an immense transformative power in having a parent know you deep down and recognize your potential as a human being in the world even when you doubt yourself - even when you sometimes doubt your existence. There is a beauty in showing up for a child and expressing care for that child even when the child may try to saboutage the intimacy and closeness of the relationship because she is petrified of what dependency on and closeness with an adult might mean. changing a world view that may have been shaped by hurt and pain. Witnessing a child is the beginning of helping that child be known from the inside out. And being truly known in another person's eyes is a powerful gift.